Developer Sarina DuPont from Embarcadero has a couple blog posts up talking about IOS 9 support in Delphi XE7, Delphi XE8, and Delphi 10 Seattle. Delphi 10 Seattle already fully supports IOS9. What seems to be working well is to compile with Delphi 10 using the IOS 8.4.1 SDK and XCode 6.4 (or XCode 7) to support devices running both IOS8.4.1 and IOS9. There is a one line workaround change that you need to make to the FMX.Context.GLES.iOS.pas file in XE7 and XE8 to enable FMX apps from those versions to work in IOS9. Delphi XE7 only supports IOS32 so you can develop Enterprise and Ad Hoc apps with it for IOS9. Delphi XE8 and Delphi 10 Seattle support Universal apps with IOS32+IOS64 which allows you to develop Enterprise apps, Ad Hoc apps, and apps for the Apple App Store targeting IOS9. Additionally, Delphi Seattle supports IOS64 debugging as well. Other IOS9 features found in Delphi Seattle that were not in previous versions are things like IOS9 UI styles, fonts, and extended optional native control support. The XE7/XE8 workaround probably also applies to earlier versions of Appmethod but since Appmethod is on a subscription system you should be able to just upgrade to the latest version (1.17). 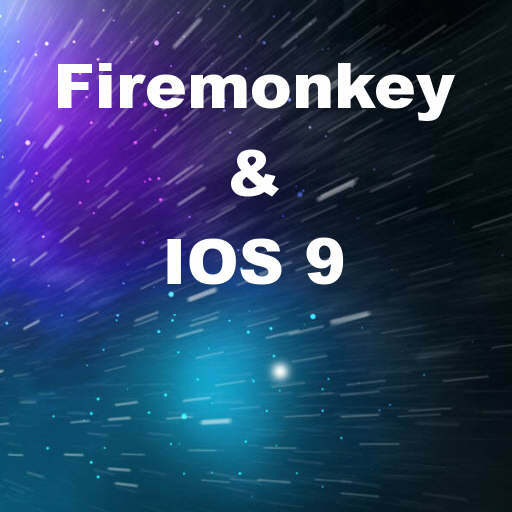 Head over and check out the full workaround for running Delphi XE7 and XE8 Firemonkey apps in IOS9. Bonus: Deploy IOS9 applications to your devices without an Apple Developer account. Update 1: If you are running DataSnap on IOS9 64bit devices you may encounter an error. There is a manual workaround available here. Update 2: If you are using a web browser component (either TWebBrowser or one from TMS Software) there is a patch you should apply to your Info.plist file. Get the patch here. Update 3: Word on the street is that XCode 7.1 Beta 2 is working as well. You can download it and previous versions like XCode 6.4 which has the IOS8.4.1 SDK from here. Update 4: There is a PAServer hotfix available here for building IOS7/IOS8/IOS9 apps with the IOS9 SDK.